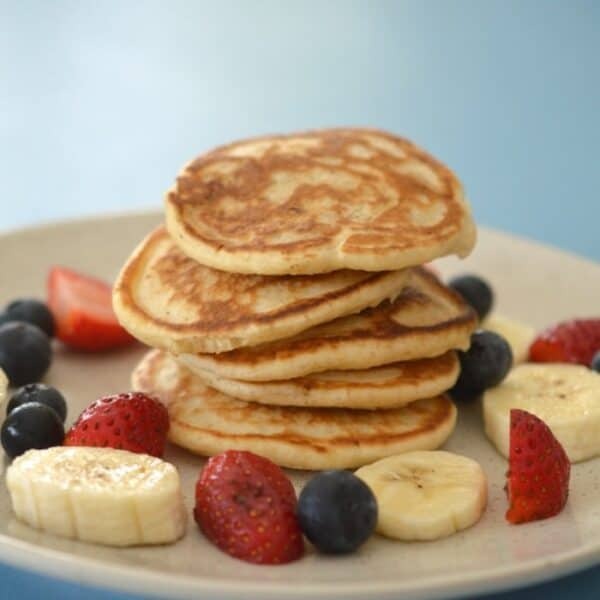 These Thermomix Banana and Apple Pikelets make a great easy snack for the whole family! 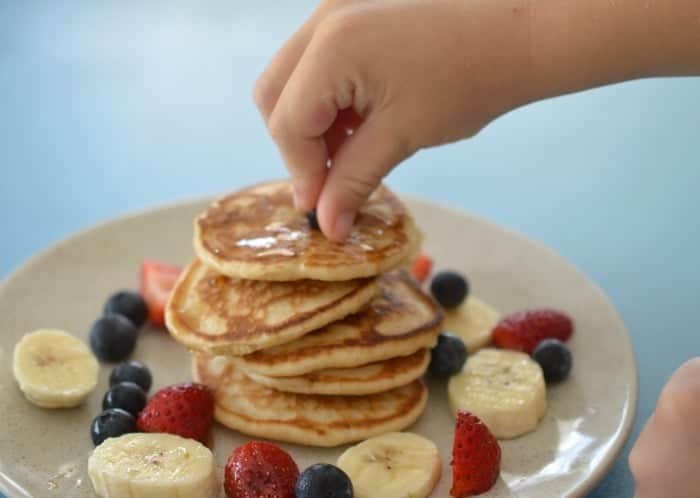 Pikelets are one of my go to recipes when it comes to snacks for my kids, and we came up with this Thermomix Banana and Apple Pikelet recipe a little while ago when we decided to throw the leftover fruit from our morning tea in with our favourite Thermomix Pikelet mixture! As the banana was quite soft and also because we used half an apple, I thought that the pikelets would be sweet enough without the addition of extra sugar and I was right – yay! 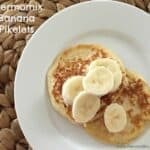 All three of my boys loved these Thermomix Banana and Apple Pikelets and if I had of let them, they could have quite easily have eaten the entire batch we made! 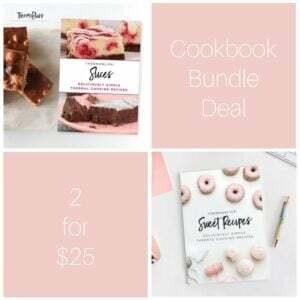 Thankfully I was able t bundle a few of them away into containers and pop them into the freezer for easy lunchbox snacks. 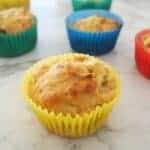 These easy Thermomix Banana and Apple Pikelets are perfect for the entire family, freezer friendly and a great lunchbox snack! Place the butter into your thermomix bowl and cook for 2 minutes, 60 degrees, speed 1 to melt. Add the apple (which has been cut into quarters) and mix for 4 seconds, speed 5 to grate. Add the self raising flour, milk, vanilla extract, banana (which has been broke in half and egg and mix for 10 seconds on speed 5. Scrape down the sides of the bowl and mix for a further 5 seconds, speed 5. Preheat your frying pan with a little bit of butter over a medium high heat and add tablespoon amounts of the pikelet mixture. When bubbles begin to appear on the surface of the pikelets, carefully flip them over and cook for a further 30 seconds - 1 minute on the other side before transferring to a plate and cover with foil to keep warm. 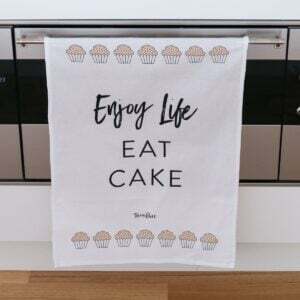 Continue until you have used all of the mixture. 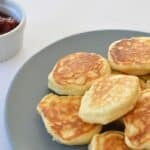 Serve these pikelets warm with your choice of toppings - we love to eat ours with raspberry jam. 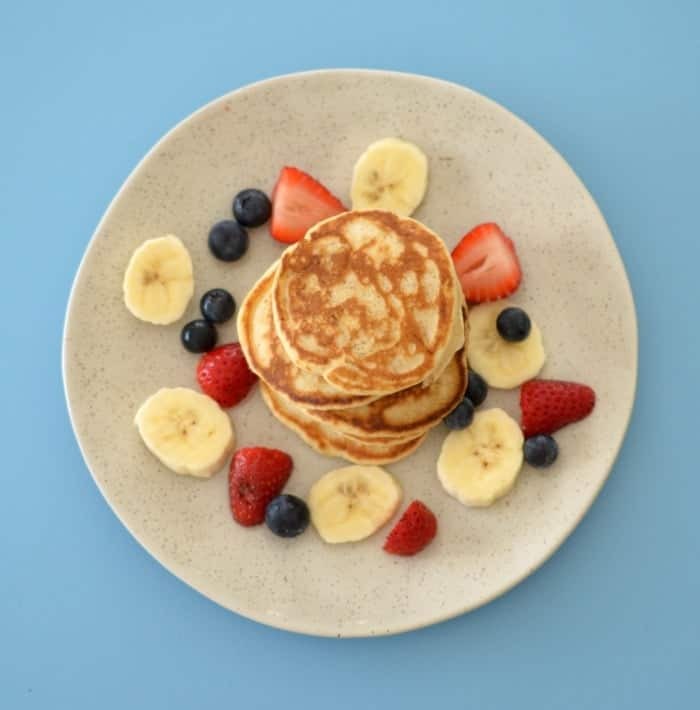 These Banana and Apple Pikelets are freezer friendly. 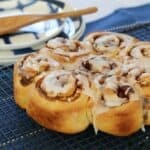 You can use any type of apples for this recipe. I leave the apple skin on when making these pikelets, however you can peel them if you prefer. 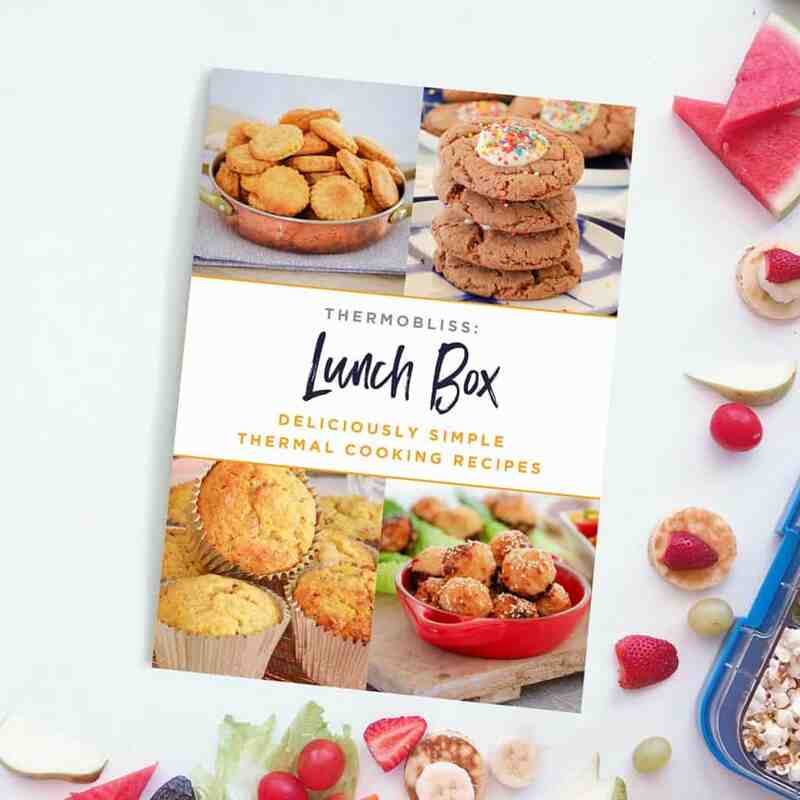 For more easy Thermomix Snack recipes, check out our new Thermomix Lunchbox Recipes book – it’s available with free postage for all Australian and New Zealand orders too!